Charming, lovable, loving, and adaptable, these little furballs are no doubt the best pooch for all your companion needs. Once the mischievous companion of Chinese emperors and later the mascot of Holland royalty, these small pups are a very popular pet around the world. Today, the old Chinese pug is one of the more popular dog breeds and come in three different colors: all black, silver, and apricot-fawn with a black-masked face. Pug owners can’t get enough of their little bundles of joy. They have a large round head complimented by their big sparkling eyes and wrinkled brow and stand at 10 to 13 inches tall and weigh 14 to 18 pounds. Pugs are quite the eaters. These chowhounds will pounce on food any chance they get and so you have to be especially careful to schedule their feeding so that they don’t become overweight. Luckily, selecting a diet for them is easy as they do exceptionally well on a high-quality dry dog food moistened with warm water. Moreover, you need to schedule their eating times according to their age. 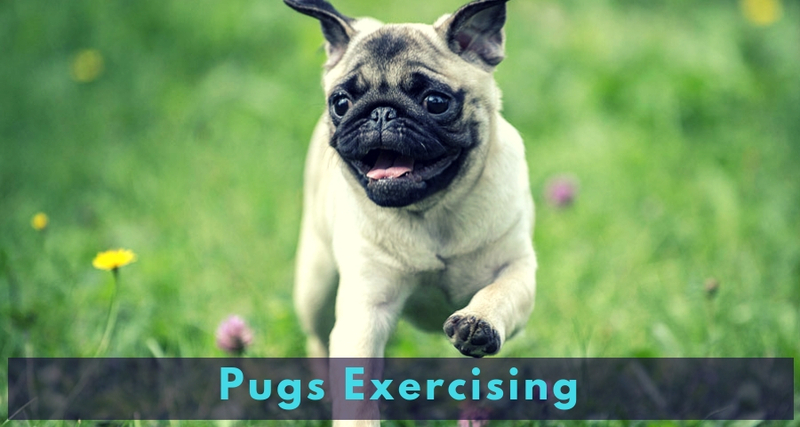 In fact, experts at the Pug Dog Club of America recommend feeding Pug pups under 6 months old three times a day and cutting the feedings down to two once the puppy is 6 months to 1 year old. As for an adult Pug dog, meals should be limited to once a day or two half portions in the morning and evening. Also, occasional treats are also very important especially if you want to motivate them to do something. However, you need to be careful about giving them too many treats and table scraps unless you want to turn your pooch into a pig. As an extra precaution, you should also consult your vet if you have any concerns about your pup’s weight. As far as maintenance goes, Pugs are to the most part low-maintenance dogs that do well with regular brushing using a medium bristle brush. You can also use a hound glove and grooming mitt to remove dirt and loose hairs so that his coat retains its silky glossy appearance. Moreover, as part of proper grooming, you need to ensure that you trim their nails regularly and brush their teeth clean with dog toothpaste. Most dogs will only be too happy to run around the yard and take long walks around the neighborhood but the Pug is just as happy spending time snuggling on the couch with its human. They are not exactly known for athletic prowess or excessive activity which makes them prone to becoming overweight. However, they are playful and lively so taking brisk walks and engaging in a few play sessions around the yard will do just fine. Be careful not to overexert them, though, as they have short muzzles that make it difficult to breathe when exhausted. You should also be careful about letting them play in water because unlike most breeds, Pugs are lousy swimmers. Training is an important part of bringing up your pooch. After all, if you're going to be spending most of your time with him, you need to get along. Luckily, Pugs are generally very well mannered. They have a stable temperament, an outgoing and loving personality, and ooze charm. However, they still need to learn basic obedience and proper socialization. Curious and highly intelligent, Pugs are not only easy to train but also learn things pretty fast. But you have to be really patient with them and avoid harsh training as much as you can as these little sensitive fur balls get easily hurt. Yes. Pugs make great emotional support dogs. They are small and portable which makes them easy to take with you just about anywhere and have a bubbly and cheerful character to keep you entertained at all times. Plus, they are also very loving and adorable. 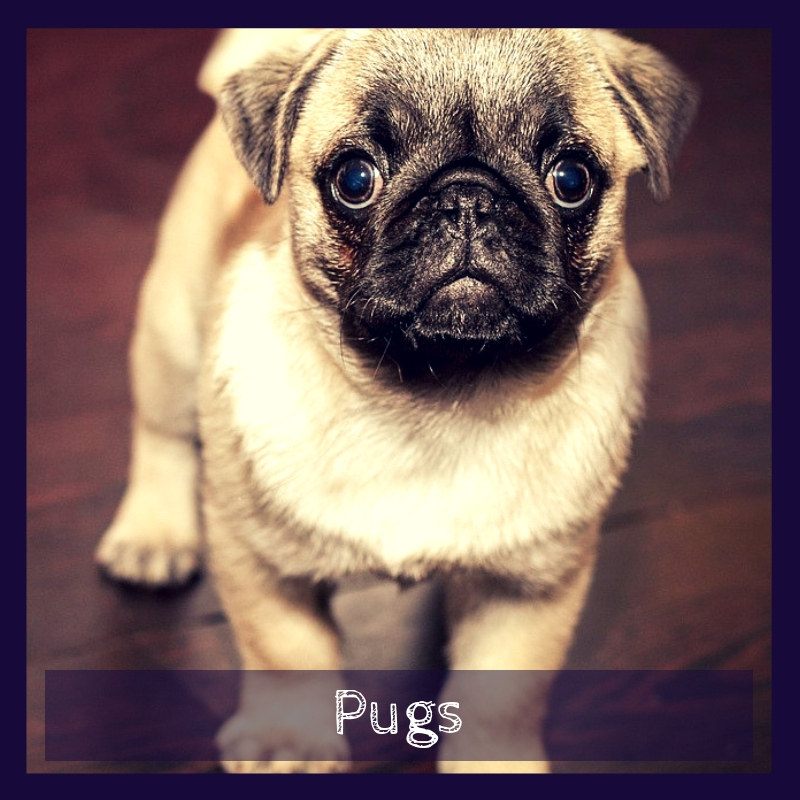 The Pug is generally a healthy breed and can live up to 15 years if properly cared for. 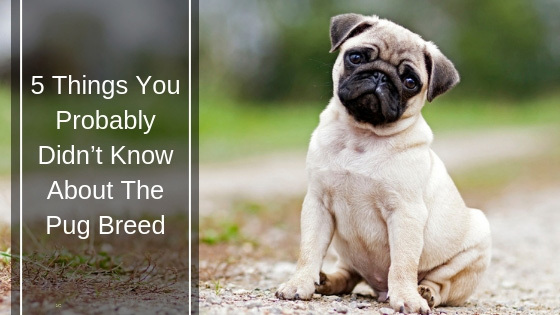 Though they are known for reverse sneezing and breathing problems, the adult dog and, to a lesser extent, pug puppies only have one very common problem: their eyes. Don’t get me wrong. They have dark, appealing eyes that you’ll no doubt fall in love with. However, they are the most vulnerable spots and can develop any number of eye problems including the dry eye and corneal ulcers. Apart from eye problems, these lap dogs also have trouble breathing sometimes and do poorly in extreme weather temperatures. If you want to ensure that your pooch remains healthy and get rid of any concerns you might have, some of the recommended tests you should take your Pug for include a patella evaluation, hip evaluation, ophthalmologist evaluation, and a Pug Dog Encephalitis DNA test. You can get more information about the Pug breeds health on the Pug Dog Club of America website. Pugs are charming, intelligent little fur balls with just the right amount of mischief to keep things interesting. These lap dogs have a short silky coat that is quite easy to maintain and are highly trainable too. Moreover, they are generally a healthy breed so, as long as you take good care of them, they’ll stick around for between 13 to 15 years.